Next-generation sequencing has opened up new avenues for the identification of microRNAs (miRNAs) and their corresponding roles in abiotic and biotic stress responses. Recently, a plethora of evidence suggests a canonical action of miRNA–mRNA interactions to regulate plant systems biology at the posttranscriptional level, thus leading to the gain or loss of genetic adaptation in plants. 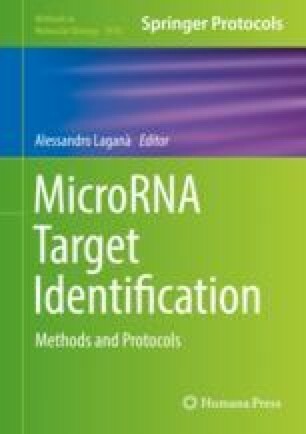 In this chapter, we present a detailed protocol for the identification of miRNA targets using six different prediction tools.